The ketogenic diet is gaining a lot of popularity amongst the public these days. The craze is spreading like the fire. But it is also the most misunderstood diet. It is more than burning fat, toning muscle and living the healthiest life possible. How about we explore more about the ketogenic diet and bust the myths related to it. Here is all the information about Indian Keto Diet for Beginners ( FAQs of Keto diet). Here are some frequently asked questions on the Indian Keto Diet for Beginners ( FAQs of Keto diet). FAQ 1: low carbohydrate and ketogenic diet the same? Ans: Any diet below 130-150 grams of carbohydrates is regarded as low-carb. Whereas the ketogenic diet has about 30 – 40 grams or less of carbohydrates per day. So, Every low carb diet is not a keto diet. While a keto diet can be referred to as a very very low carb diet. Read – Low carb Indian diet for weight loss. FAQ 2: Fiber is an important part of weight loss. But we skip lots of fruits and vegetables in the ketogenic diet. Will it lead to constipation? Ans: Eat from the list of vegetables, fruits, and nuts allowed. If still, you feel you are constipated a sugar-free laxative or supplement can be included in the diet. There is plenty in vegetables, some low-carb fruits or even nuts. Once these are included in the diet, fiber is not an issue. Drink adequate water. Consume at least 2-3 liters a day. Keep the body well hydrated. Replace the fat or oil to MCT oil. This helps relieve constipation. Consume psyllium followed by lots of water. This will also reduce excess cholesterol in the body. Take up some exercise. This helps to lose weight and also reduce constipation. 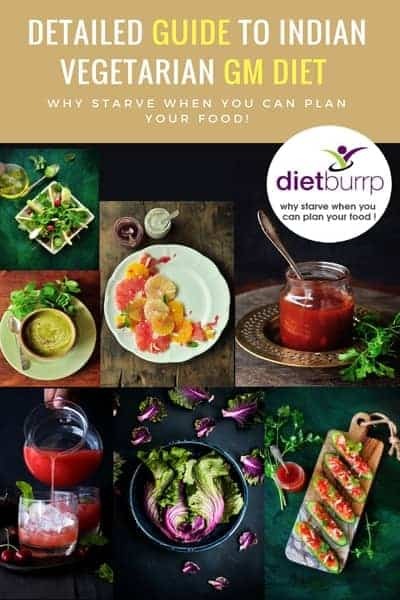 Read – Indian keto diet plan for weight loss. FAQ 3: I don’t feel good after earing ketogenic food. I feel giddy, lethargic, tired and weak. Is it normal? Ans: Indian Keto Diet for Beginners is a bit difficult in the start. Initially, when your body is utilizing the remaining carb stores you might feel weak and giddy. Also, there is a loss of water and salts from the body. Gradually once the ketone bodies are formed in the body, you will not feel weak or giddy or tired. In fact, the brain becomes active with ketone bodies. Also, consume lots of water and liquids allowed to keep your body hydrated. FAQ 4: Is coffee the only option for a beverage? I don’t like coffee so much. Ans: Water and black coffee being zero in calories are most preferred. Even black tea without sugar or green tea without honey or sugar is fine. The main aim is not to increase the carbohydrate content by any means. But I must tell you that coffee has an added benefit. It helps burning Fat in a much faster way than Any other beverage. Hence Bullet coffee is such a crucial part of keto diet plan. recipe of bullet coffee is mentioned in the link below. Read – Top 10 Recipes of Indian keto diet plan. FAQ 5: Can I enjoy my social life? What if I have to eat out and have no option? Ans: Yes it is a bit challenging to follow Indian Keto Diet for Beginners ( FAQs of Keto diet). But it definitely is not impossible. Just remember the list of foods allowed and foods to avoid and your food query is sorted. In restaurants nowadays it is easy to ask the chef to modify the recipe according to your requirement. Also, Keto desserts are widely available in the market nowadays. FAQ 6: Can I take protein shakes while on Keto diet? Ans: Yes you can take protein shakes while on a keto diet, but you need to check the carb levels in your protein Powder. If you are consuming Isolates and Hydroxylates, you can still check the label of carb content and take the shake if these carbs fit in your allowance budget. If you are taking concentrates or generic powder of protein, you must avoid them. 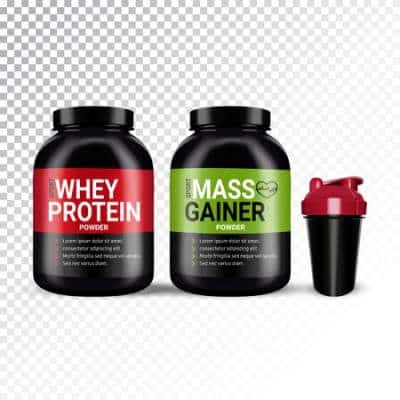 Watch our Video on protein supplement guide here. 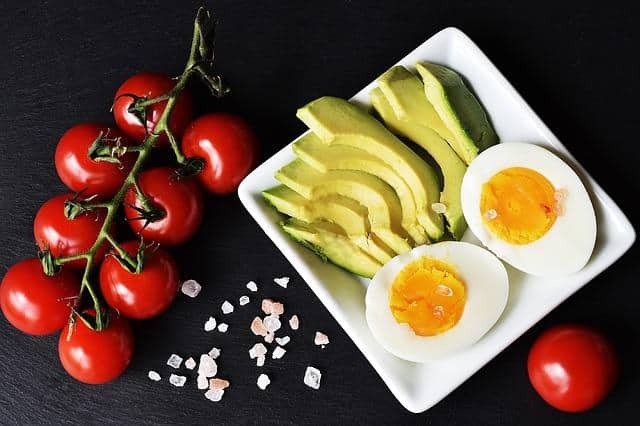 Here are some frequently asked questions on the ketogenic diet in India ( FAQs of Keto diet in India ) on the line of Its safety issue and effects on health and our body organs. FAQ 1: Is keto diet safe? Or if you have any heart or kidney related health issue. If you have Fatty Liver. FAQ 2: Is ketogenic diet healthy for kidneys? Ans: Ketogenic diets are high in fat and moderately high in proteins. The kidneys can handle extra protein that is consumed in ketogenic diets. Ketogenic diets are completely safe for kidneys as the duration for which it is followed is limited. Caution – Keto diet should not be followed for more than 1 month in continuation. FAQ 3: Isn’t ketone harmful to us? ketoacidosis in a diabetic patient is referred to as a fatal complication, then how can keto diet be safe if it produces ketones in the body? Ans: Ketone levels in conditions like ketoacidosis in diabetics or alcoholics is 3 to 5 times higher than the effect of a ketogenic diet. These medical conditions can be life-threatening. Ketosis is a state in which your body is at optimal ‘fat burning’ mode. It is attained when your body is using fat stores for energy and producing ketones. While ketoacidosis is a state in which the body’s blood is highly acidic. But the body is well tuned to slightly high levels of ketones in blood developed by ketosis while on a ketogenic diet. FAQ 4: Is keto diet safe for people with dyslipidemia, Hypercholesterolemia, Increased LDL and triglycerides in blood? Ans: There are studies showing the ketogenic diet improves the lipid profile. It reduces the triglycerides and increases the HDL cholesterol in the body. If you suffer from already very high lipid levels which are life-threatening, then we need to take precautionary measures to reverse the condition. In such cases, the keto diet should be avoided and a healthy balanced diet which has healthy fats should be included. You should include sources of healthy fats allowed like fish, nuts, coconut oil or olive oil. Benefits of flax seeds, Chia seeds, and Almonds. How to reduce triglycerides from the blood. FAQ 5: Does a ketogenic diet lead to vitamin and mineral deficiency? Do I need to take supplements? Ans: Restriction in calorie automatically means restriction in certain vitamins and minerals. This is the general risk associated with a low calorie diet. But the studies show that a ketogenic diet contributes to sufficient daily vitamins and mineral required by the body. Try and include a variety of foods meat, eggs, vegetables, yogurt, nuts, and healthy oils. This will suffice the daily requirement of vitamins and minerals. But there are other nutrients where you require external supplements like vitamin D, magnesium, selenium, and zinc. As the foods included in the ketogenic diets are low in these nutrients. If you pay attention to the foods you include in your keto diet, you really do not need any external supplementation. Here are some ways of how you can ensure adequate vitamin and mineral intake in specific. Include Sea fish in your diet. Include Sea vegetables like kelp, nori if available, or include celery, spinach, and cheese in your diet, these provide high sodium. Increase your general salt intake, that should be sufficient. Note – if you have any medical condition which requires you to restrict salt intake, please consult an expert. Include salmon, avocado, nuts, mushrooms, and green leafy vegetables. You can also use Himalayan pink salt in some dishes from time to time. Include spinach, almond milk, almond flour, broccoli, small fishes with bones, kale and bok choy. If you are deficient in Vitamin D, it is best to take supplements of Vitamin D.
Well, the list of the minerals and vitamins is long, and looking at it, I really feel I need to do a separate detailed post on it. So I shall do it soon for my lovely readers. When it comes to FAQs of Keto diet in India, The questions are many times based on certain myths and self-interpretation. Here we are going to burst certain common myths that I come across from my readers. Myth 1: You can use any type of fat. Fact: Studies show replacing high trans and saturated fats with MUFA and PUFA rich fat reduces cardiovascular risks. Thus include walnuts, flax seeds, fish, olive oil, rice bran oil or omega 3 rich nuts in the diet. Coconut oil is an MCT and that is beneficial too. So please avoid ghee, butter, mayonnaise wherever possible. a bit of it is ok, but the excess will lead to complications. Myth 2: Ketogenic diet is not healthy in the long run. Fact: Ketogenic diet is a short duration diet of 3 – 4 weeks. It should strictly be avoided after that. With regular interval gaps, you can repeat the diet until you get desired results. The ketogenic diet has anti-inflammatory, neuroprotective, and anticancer properties. When done correctly, under a professional, keto diet can give you maximum benefits. 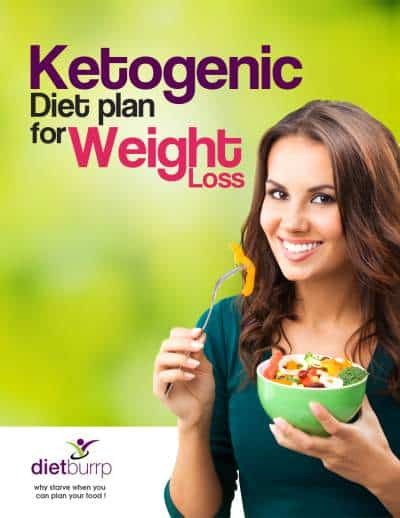 Take professional help for the promising result by the ketogenic diet. Myth 3: Higher the ketone level in the body, faster is the weight loss. Fact: Ketones in desired quantity are used as the source of fuel for the body. But the excess ketones gets filtered by the kidneys and excreted in the urine. Thus, anything in excess is not good. There certainly is no common rule or common formula that will lead every person to ketosis the same way. Some people land into ketosis while on 40 gms of carb, while some may land into ketosis only after coming down to 20 gms of carbs or even less. So don’t compare your ketosis with anyone. And do not believe any person who promises you to make you land into ketosis by a certain way that he used on himself. there is a 70 % chance that it might not suit you. Hope these Indian Keto Diet for Beginners in FAQ format helps you find all your answers. You definitely need lots of dedication to follow Indian Keto Diet for Beginners Initially, it might seem difficult but once you get used to you will feel everything was worth doing. Once you get hang of the diet you will find it less painful and amazingly easy to stay healthy. 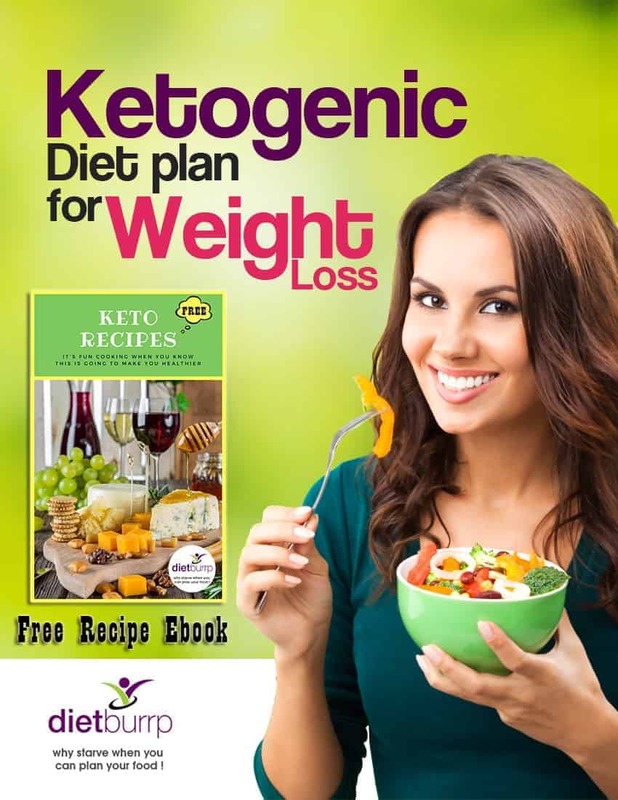 You can buy our amazing book of Detailed ketogenic diet plan for weight loss. This has a detailed menu of 4 weeks and each phase. You will be amazed by the results you get. Check it now. If you feel we haven’t covered your question in our post on Indian Keto Diet for Beginners, please comment below and let us know. We would try to answer you at the earliest! Detailed Indian keto diet plan for weight loss. Vegetarian keto diet plan for weight loss. Top 10 Indian Keto diet recipes. What to eat after a Keto diet. I am following Ket diet from past 2.5 months and didn’t lose much weight. Just lost around 8 lbs. I strictly followed. I would like to know the reason. I would like to see what other options I have. I am 54 and weigh 145 lbs. I cant really tell you the reason . but because it is 2.5 months already that you are following the keto diet i would request you to stop following it immediately , to avoid any adverse effect on your health . Looking at your age , it will be a good thing if you could go for a cholesterol check as well. as far as I know ketogenic diet often proves miracle on the epileptic patients especially the people who’re suffering from tonic-clonic seizures..In Us lot of doctors suggest there a connection between keto diet and the healing of the disease. correct ! we do plan a lot of ketogenic diets for epileptic patients . You Can use green tea without sugar , any iced tea without sugar / with sweetner. warm water with lemon and a little salt and pepper .. please see the video for details. you can use them in any meal depend upon your total calorie and carb allowance you choose for yourself. Hi, I have followed the Ketogenic diet for 14 days and have lost 5 kgs so far , after 4 weeks, once I stop the Ketogenic diet, what diet can I follow to continue to lose weight , as, I am 30 kgs overweight. I’m 43yrs old and hypertensive, with mild fatty liver. Is there any substitute to cheese.. I don’t like cheese..
you can skip cheese and use paneer instead.